If you're familiar with At Ten Paces (or me in real life) you know that I'm a girly girl and proud of it. I love everything about being a girl! Well, no. Not everything. Hello cramps? Childbirth? Pms? Just no. But MOST things. My fabulous group of friends have a bit of a wild weekend planned, for Amanda's 28th birthday! This is the first birthday of the year for all of us, and it's usually our "kick off to summer" night. But the weather the last few weeks has been so great, that it definitely feels like summer is already here. I usually do all sorts of fun hair and face masks before a night like this, just to add to the fun. But I've run out of all of my favorite go-to products, and I'm a little short on cash. So I thought I'd scour my cupboards and see what I could find that was cheap, natural and would do the trick. 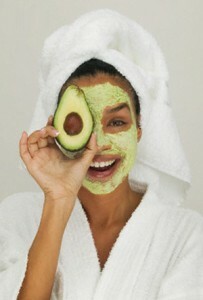 Here's a few recipes for hair and face masks that I'm a big fan of. Hair Mask for dry, damaged hair. 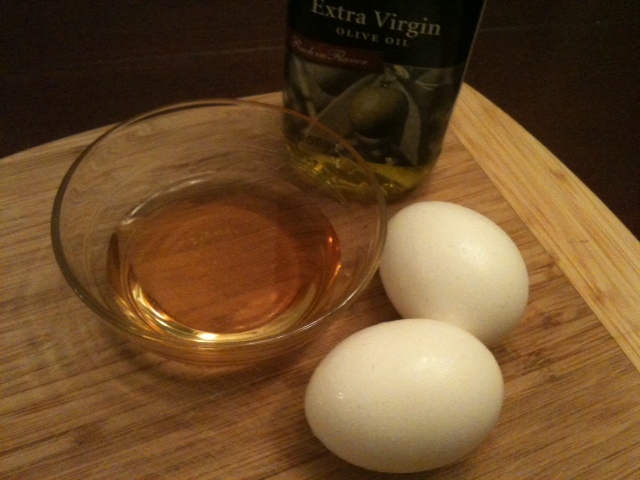 Mix together all of the ingredients and apply to damp hair. Comb through, making sure to get the ends nice and saturated. It's the oldest part of your hair, and the most damaged. Cover your hair with the shower cap or towel. For extra oomph, blow dry over the cap or towel. The heat will help your hair absorb the mask. Don't go too crazy with the heat or the egg could cook. Sit for 20 minutes and then rinse off with cool water. Wash your hair as normal. This mask will leave your hair seriously shiny and soft. 1 Teaspoon of lemon juice. This recipe makes a big batch and it can't really be saved, so you should make it with a group of your friends and everyone can use it! Mix the ingredients together, if you use a hand blender or a mixer, you'll get rid the the clumps. (I think it's redundant to say this, but just in case, when applying a face mask you should always have a clean and dry face). Wait until dry and rinse off. 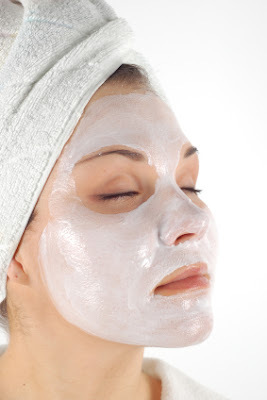 Oatmeal Face Mask. Good for oily or combination skin. 1/2 Cup of oatmeal. Any kind will work, I eat quick cook oats so I use those. 1/2 Cup of plain, natural yogurt. Cook the oatmeal as you normally would, and let cool. 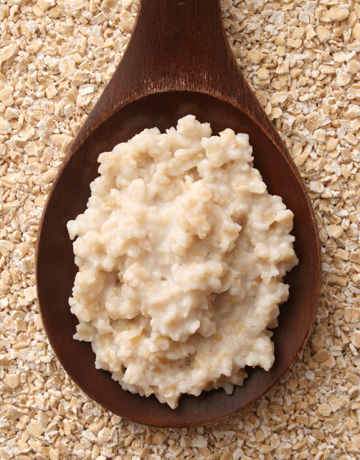 (If you are using quick cook oats, you can just microwave them for 30 seconds. They'll be cooked, but not too hot). Mix the oatmeal and yogurt together. Apply to your face and wait until dry. Bonus to this mask! It works as an exfoliator scrub when you are washing it off! I hope these work as well for you as they do for me! Enjoy your weekend.